Even before Drupal adopted object-oriented (OO) principles as heavily as 8 has done, it's always used naming conventions in part as a way of working out where a particular thing should be (the key example is hook function naming.) And Drupal has always had great coding standards (which incidentally cover PHP classes). 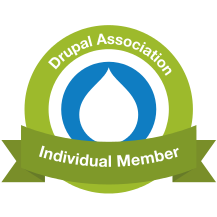 But we must go one step further than informal standards, to ensure that classes are always findable by some automatic system like Drupal itself. PHP has a principle of autoloading, whereby if an OO component (e.g. a class) is requested, but is not yet known to the current PHP process, it will ask an autoloading registry where it might look for a file containing the component. Separately, there is a PSR-4 standard for class, trait and interface naming which, by mandating a combination of namespace-plus-classname, and subdirectory-plus-filename, PSR-4 ensures that any class referenced in any code is automatically discoverable and loadable. Drupal 8 adopts and recommends PSR-4: that means that, if you name(space) your classes correctly, and put them in the right files (and subfolders), then they will be discoverable to Drupal. And the class name must be FileName. All object-oriented code goes in the src/ subfolder: no exceptions, as otherwise it can't be found at all by autoloading. You should only ever have one OO class etc. per file, because the class name must match the file name. Below, we'll look at a counterexample for the second point, to illustrate why it's important. In the folder for the d8api module you created previously, create a src/ subfolder. Within that, create a further src/Convention/ subfolder. * we're going to use it in testing to show what the problem is. So this file is src/Convention/Test.php within your d8api/ module folder. In order to test this code, you should install Drush. We don't cover that process here. Drupal has successfully (a) found your class file, based on the PSR-4-compatible naming conventions (b) loaded the file (c) and created an object instance of the class. The naming convention has worked. It won't work! Class name must match filename; class namespace must relate to subfolder structure. then it will break as expected: the autoloader tries to discover the first class it needs, and fails early. So always limit any given file to a single class or similar OO component, because you never know how other people's code might need to use your own. If you can reproduce these results, then congratulations! you've successfully leveraged Drupal's OO programming conventions.